If you’re a thrill seeker or just think that the finer things in life lie outside four walls, then a business venture into adventure may be just the opportunity for you. There are a couple of ways you could operate an Australian outdoor business; by running the activities yourself, or by acting as an agent for various other adventure businesses. The latter requires much less investment as you are essentially acting as the ‘middle man’. However, if you own a business yourself, you will have much more control over your customers’ experience. You’ll also earn more than a percentage of the commission (but you will have to pay for overheads). Fun, fast and exhilarating – whitewater river rafting is a mini adventure that needs minimal marketing because the name says it all. North Queensland: Barron River (beginners and/or families), Russel River (intermediate, but suitable for beginners), Tully River (intermediate to advanced) and the Johnstone River (advanced). Tasmania: Mersey River (beginners and suitable for families), Picton River (beginners and families) and the Franklin River (beginner to intermediate). New South Wales: Nymboida River (beginner to intermediate, after rain and higher flowing river), Murray River (beginner to intermediate) and the Gwydir River (intermediate to advanced). In order to stand out from the crowd, your rafting business should cater to a particular niche – whether it’s professionals on an office day out, a means of de-stressing, or as part of an adrenaline-filled survival course. You could also expand the business by adding canoeing and kayaking. While the start-up costs may be minimal, ongoing overheads may be high due to training employees, wages, first aid certification and licensing. It will also be mandatory for you to carry a considerable amount of liability insurance. Make sure to take a look at the rules and regulations within your state or territory pertaining to owning a river rafting business. The beautiful, varietal landscape of Australia means that camping can also be incredibly varied too. From the mountainous south-east, to central Australia's arid desert and tropical rainforests in the north, there are a wealth of different camping experiences to make the most of. If you want to run a campsite, including either tented camping or caravans you will need a site licence from the local authority to do so. Adventure experiences could also be offered alongside camping as an extra source of revenue. Buying an existing campsite is a relatively stress-free venture compared to starting one from scratch as you will be inheriting established pitches, business practices and those all important repeat holiday-makers. Having been dubbed ‘The Island Continent’, it’s no wonder that diving is big business in Australia. And if that doesn’t convince you, begin typing ‘scuba diving in’ into Google, and it’ll instantly suggest ‘Australia’. Buying a diving business will certainly be less of a risk than if you were to start one yourself as you will already have a client list and a business with a reputation – though you should make sure to check out exactly what that reputation is! For further in-depth information, take a look at the Profession Association of Diving Instructors (PADI) website. In particular, they provide a checklist for starting up a diving shop. If you’re seriously considering a diving business, you’re likely already an avid diver and have an idea of where you want your business to be located. Nevertheless, Australian Geographic have compiled a list of (what they consider) the best dive sites in Australia, which is worth taking a look at. In the US, many have been repeating the phrase ‘cycling is the new golf’ – but can the same be said of the Australian market? While sports cycling has been in the news a lot, everyday cycling is also having it's day. According to the BIA (Bicycle Industries Australia), Canberra is leading the way in promoting cycling as a viable mode of transport by increasing it's number of cycle paths and improving the city's infrastructure to accomodate the growing trend. Following success in Europe of E-bikes, it has also been predicted to become an important bike trend in Australia too. As cycling becomes more part of the daily routine (as well as being enjoyed recreationally) for the average Australian, there will be many more opportunities to be had in the market – particularly in the retail aspect of road bikes. Buying an amusement park will require serious capital investment. 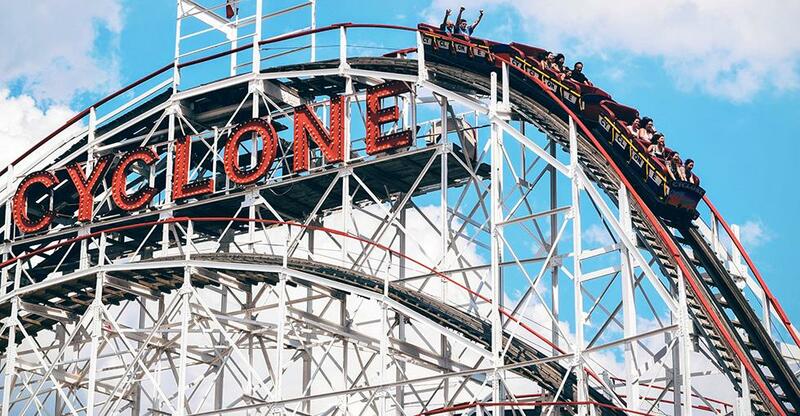 The first thing you should make sure of before you buy an amusement park, is that you will have some leftover capital for the first months of running the business. Amusement parks could comprise of as many or as few activities as you’d like – whether it’s primarily rides and arcade games, or just trampolining. It could also include a Go Karting area. If you’re yearning to breathe in the fresh Aussie air and have a working life that doesn’t require sitting in a gloomy office, an outdoor adventure business could just be the opportunity for you.